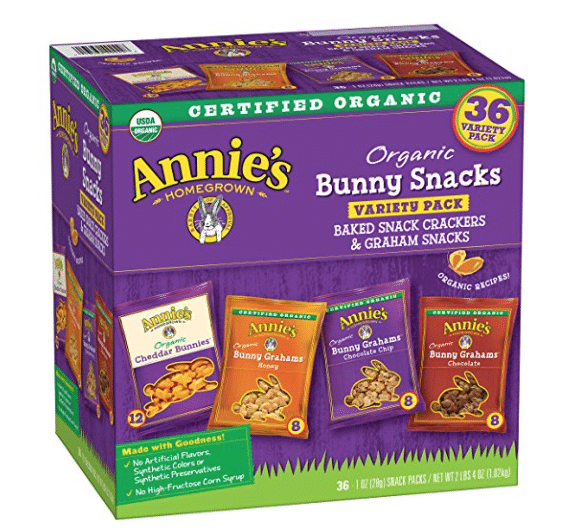 Amazon has a nice deal right now on Annie’s organic bunny cracker and graham snacks! Head over here. clip the $2.50 off coupon under the price and bring the price down on this 36 snack pack variety pack of Annie’s organic cheddar bunnies, honey bunny grahams, chocolate chip bunny grahams and chocolate bunny grahams to just $8.49, so $.23 a pack! This same variety packs sells for $15 at other stores, so this is a hot price!